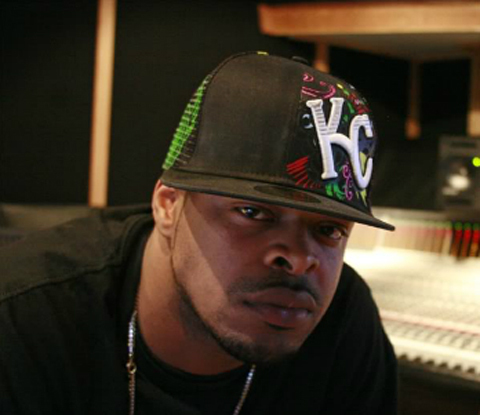 “I’m the best you never heard about” rhymes Kutt Calhoun on Kelvin‘s opener, “Sleeping On Me”. Spoken by anyone else, those words may seem a little cliché, but in Kutt Calhoun’s case, they carry a heavy dose of reality. The self-proclaimed Red-Headed Stepchild spent most of 2012 making preparations for what was next in his career. Between embarking on his first solo tour and recording new material, Kutt Calhoun knew he had to make it all count. Just after the release of his Kelvin EP, Kutt joined us live on the Strange Music Podcast to discuss the EP’s release and what it means to fans looking forward to his next full-length album. Check out what Kutt had to say in this interview excerpt! The Kelvin EP is out, people seem to be responding to it. What kind of feedback are you getting? So, it’s like, I ain’t really got nothing negative from it man. Everybody is loving the new sound, the new music. It’s like I’m back with a vengeance. They all talking about how I’m beating their speakers to death and this and that. They loving the flow on there. They just lovin everything they hear. I haven’t gotten one negative comment on it, at all. After being away for a minute it seems like people would have expected a full-length album from you. Why did you go with an EP instead? Just know, I’m damn near done with my album. I recorded my last song for it and I have a couple of bonus songs to do, but the Kutt Calhoun LP is basically done. We gon’ do some fine tuning, EQ’ing, and mixing man. That mutherfucker’s gonna be done. It’s two times better than Kelvin. Just letting people know, that’s why you ain’t got the album because I just finished it now. Kelvin is just a prelude. Plus, with the EP, I didn’t wanna come back fresh with just an album. I wanted to let people know what to expect from Kutt when he do this new album. That’s what the EP was all about. I’m glad it went that way. It’s to let you know what page I’m on since I been gone, what advances and progression I’ve made since Red-Headed Stepchild, and what’s to come. At seven tracks in length, I imagine it was a little difficult cutting it down. What was that process like? Yeah, you know, we always overdo it with songs. We’ve just got so much in us that we want to release. The limit wasn’t my choice. The limit was seven tracks maximum. Six minimum and seven was the maximum. I decided to not go with any skits and give them seven full solid songs. I could have of course did more than that, but I put in my best on the seven and that’s what the fans got. That was my limit to do. I couldn’t have done more than that. Anything else would have been considered an album. Four more of ‘em would have been an album. It is what it is. I think EPs are great for this type of situation we in now – strictly a prelude to the album. To let people know what level you’re on before this album comes out. It gives you a taste of what the album is going to be like. How many songs didn’t make the cut? Will we ever hear them? I think it was about two tracks that didn’t make it. One of them was called “Bars”, and it was some real lyrical stuff. When I recorded it, the tone that I used, I really didn’t like it. It kind of didn’t fit. At the end of the day, the song was dope, but the sound of the song didn’t fit with the flow of the EP. The EP has this sound – even though I’ve got songs like “Triumph”, “Bottle Service”, “I’m Already Kreased”, and “There He Go (Heroin Flow)”, all of those mesh together with the whole feel of the EP. This particular song that I did record, it was a dope song, but it didn’t mesh with it. It would have been sticking out like a sore thumb. Like, “Okay, where did this song come from?” It would have made the EP sound totally different. I wanted to have a complete feel. From a party vibe to a street vibe to a kickin it and ridin’ vibe to a serious vibe, how I ended it with “Triumph”. This one right here wouldn’t have fit into the equation. Nonetheless, any song we don’t use, we throw it out there whether it’s going to be on a sampler or a free download or whatever. Any song we use is going to be accessible to the fans, it’s not gonna be trashed. -Interview conducted by Victor Sandoval, Strange Music Social Dept. CLICK HERE TO PURCHASE KELVIN. What do you think about Kutt’s comments on his next solo album?